With the Andes Mountains as a backdrop and miles of vineyards as its main attraction, Mendoza offers a lower-key option for travelers to Argentina who need a break from the hustle and bustle of Buenos Aires and other more touristy areas. 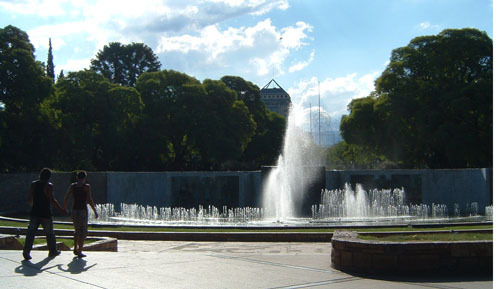 The city itself, which has the atmosphere more of a large town, exudes a friendly vibe and unique charm with its parks, outdoor cafes and Spanish-style architecture. 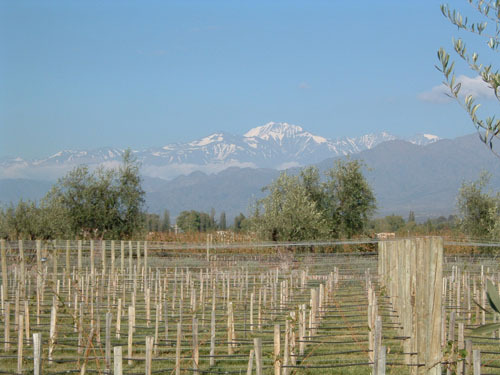 Mendoza is also the country's wine producing region, most famous for its Malbecs. Throughout the city, wine shops provide daily tastings that educate visitors about various local wines and how best to use and pair them. A "must", though, for any visitor to Mendoza, is a wine tour. 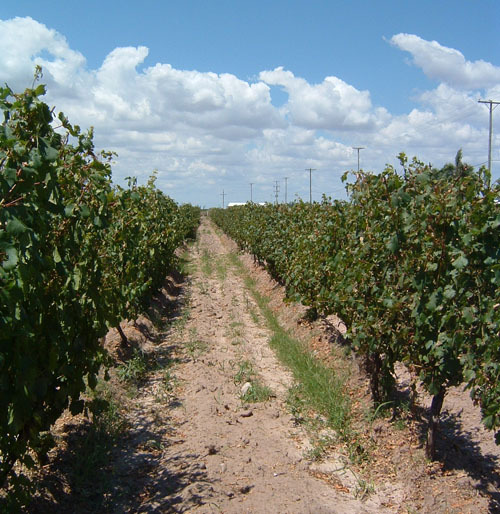 These tours are usually small in nature and travel to several wineries throughout the day. At each winery, guests tour the facility, learn about the wines produced there through a sample session of three or four wines and often get snacks or a light meal to pair them with. As many of the vineyards are smaller, family-run business, the tours often include meeting the owners, who can provide an interesting overview of the winery's history. Though the tours are mostly taken by tourists, they are not in themselves overly touristy and a great way to spend a day or two in the area. Much of Argentina's wine is actually only shipped domestically and wine tastings, either on a tour or in the city's shops, give visitors the opportunity to taste wines that are not available in their home country.